I couldn’t get it out of my mind! I sat in my hunting blind during a springtime turkey hunt and all that I could think about was bass fishing. During my previous online map study of a public hunting area, I located a fishy looking pond out in the middle of nowhere, but close to my turkey hunting spot. I quickly packed up my hunting gear and made it back to my truck to trade out my hunting gear for my bass fishing equipment. I grabbed 2 of my favorite spring time baits and off to the pond I went. In just a short amount of time I landed over a dozen bass. I love bass fishing in the spring! With warmer temperatures and longer days, avid bass anglers have learned that the action picks up in the spring. Bass gradually move shallow in anticipation of the spawn and can be targeted by shallow water fishermen. The actual time period and “wave” of the spawn will vary depending on what part of the country that you are in. 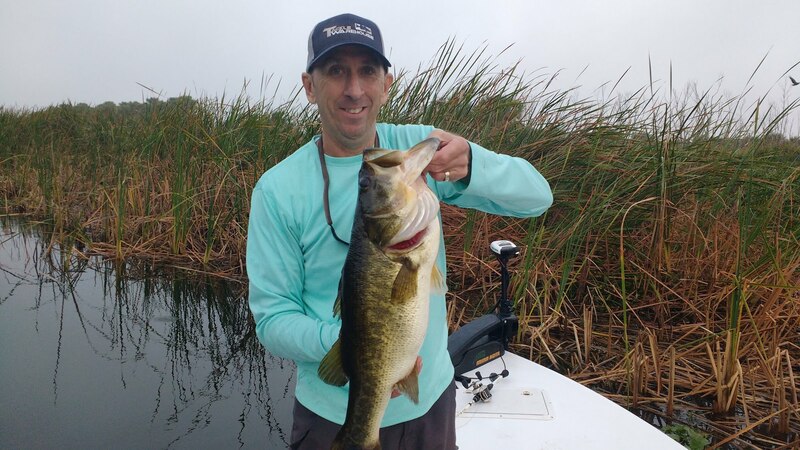 For Florida, the bass may start moving up to spawn as early as December or January while many northern anglers are snowed in. This spawning time period will start later in the year the farther north that you go such as into May and June for northern climates. Bass fishing baits and techniques for the spring often vary among even the closest of fishing buddies. 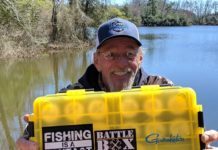 It seems like at times anything and everything under the sun will work but occasionally (or sometimes more often) anglers will struggle to get bit during the spring. Over the years, I have dialed in two baits and techniques that have consistently worked for me in the spring. Not only do they work for me, they are a blast to fish. 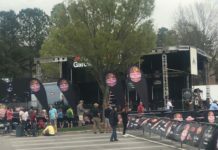 In this feature, we will discuss and dissect the two spring time baits and techniques that I have success with. Let’s get started! 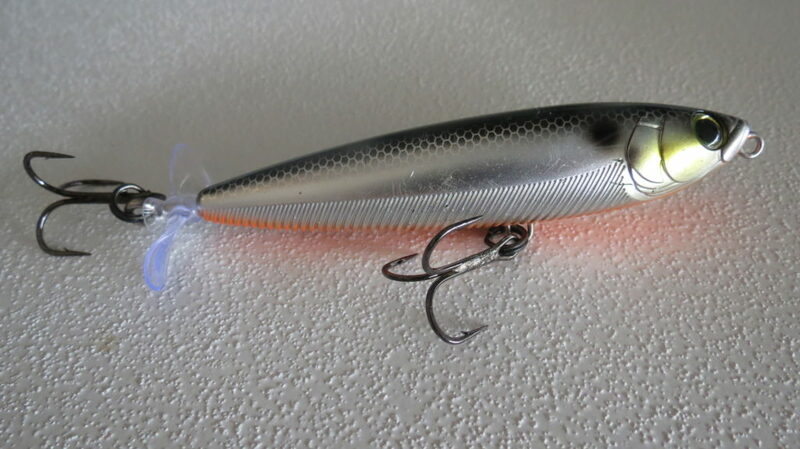 There are many different types of topwater baits that will work in the spring but day in-day out a topwater prop bait often excels at getting bites. For some strange reason, the subtle whirl and splash from the prop(s) on the bait drives bass nuts! Topwater prop baits vary from a single prop to multiple props on the bait and each have a different action and purpose. For me, my bait of choice is the Yo-Zuri 3D Prop. This 3 ½” bait weighs in at 7/16 oz. What makes this bait truly unique is the single polycarbonate blade on the rear of the bait that offers a distinct sound. The single blade contains counter rotational cupped tips that give off a disturbance on the water that bass can’t stand. In addition, ribbing on the bottom of the 3D Prop and internal rattles add to the appeal and make it just a little bit different than the average topwater prop bait. For colors, I like to keep it simple. You can’t go wrong with a bluegill pattern during the spring, however I like to keep a chrome or shad color on deck if there are shad present and a gold and black for Florida fishing to emulate a wild shiner. For crystal clear water, Yo-Zuri offers the 3DR (Real) series of very natural colors that are killers. 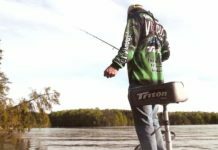 To target topwater bass in the spring, try locating areas of the lake that are a little bit warmer than the surrounding waters. The northern areas of lakes are usually sheltered from north winds which allows the sun to warm up the calm water. Don’t discount any other clam areas of the lake such as small coves, creek arms, canals or marinas. Anywhere that has consistently calm water throughout the day will act like magnets to springtime bass! Once you find a great looking area of the lake with warmer water, try retrieving your topwater prop bait in a “jerk-jerk-pause” technique. If fish are lethargic and are still a little slow to react, slow way down! Try retrieving in a “jerk-long pause-jerk-long pause” cadence. Gradually increase the length of your pause until you get a strike and then try to duplicate the same retrieve. Don’t be afraid to throw a topwater prop bait all day long. As the water gradually warms up throughout the day, bass will get active and hit a prop bait. One of best spring time baits for fishing in and around bass beds is the Texas rigged stick worm. The slow subtle action is very natural and appealing to bass. My bait of choice is a 6” Gambler Fat Ace worm. The Fat Ace has just the right amount of salt and fish attractant that makes it a perfect combination. I like to Texas rig the Fat Ace with a 4/0 size off shank worm hook with just enough worm weight to gently crawl the bait along the bottom. Keep your colors simple by using dark colors such as junebug or black and blue in darker waters and subtle greens such as green pumpkin in clear water. To target stick worm locations, seek out similar warm water coves, creeks and canals that you would focus on with springtime topwater baits. Look for shallow water “hard cover” such as dock pilings, trees, stumps or rocks and cast your stick worm in and around these objects. If hard cover options are not present, seek out openings in vegetation or areas with pads. Slowly work or drag your worm along the bottom being careful to not work the rod tip too fast. Slow is the key. If you find a bass on a bed, stop the Fat Ace worm in the bed and wait for the bass to get so upset that it picks up the bait to move it out of the bed. Often this will require repeated casts over and over on a bed to aggravate the fish into biting. For the topwater Yo-Zuri 3D Prop bait, I like to use a Daiwa Tatula CT casting reel in the 6 or 7 to 1 ratio spooled up with 12 lb. monofilament line. I like a rod with a glass composite blank specifically made for topwater and reaction baits. The slow action of the rod gives just enough give allowing the bass to inhale the bait in their mouth before setting the hook. My rod of choice is the Powell Inferno 6104CB which is a 6’ 10” medium action rod. For the Gambler Fat Ace Stick worm, I use a Daiwa Tatula 100 casting reel spooled up with 30 lb. Tuf-Line 4orce braided line. I like a super sensitive rod with Tuf-Line for bottom contact baits, so I select to use a Powell Endurance 734 rod which is a 7’ 3” heavy action rod. No matter what part of the country that you are in, springtime fishing means the bass are moving shallow to spawn. Experienced bass anglers move shallow with these bass in hopes of landing the fish of a lifetime. Spring time bass fishing can be excellent. Try my two recommended springtime baits that are not only excellent options, they are downright a fun way to fish. You may be glad that you did!